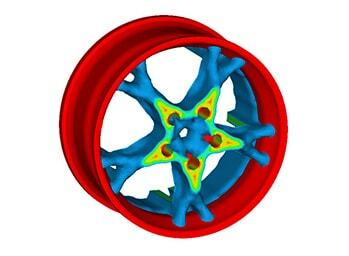 Interfaces to common FE tools for the import of the vibrating structure geometry and the pre-calculated structural vibration (surface velocity boundary condition) facilitate a seamless integration in the NVH simulation workflow as the final step of acoustic analysis. AVL EXCITE™ Acoustics is available through the Altair Partner Alliance. 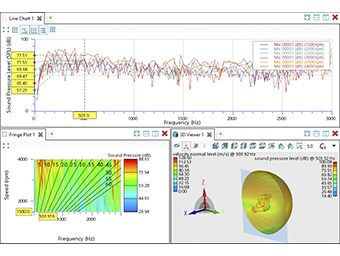 Using previously calculated surface velocities as input, EXCITE™ Acoustics efficiently calculated the sound radiation in free field and provides airborne noise results which are directly comparable with measured acoustic data and legal noise limits. The used WBT is based on an indirect Trefftz approach expressing the dynamic acoustic pressure as a linear combination of wave functions, which exactly satisfy the homogenous Helmholtz equation. 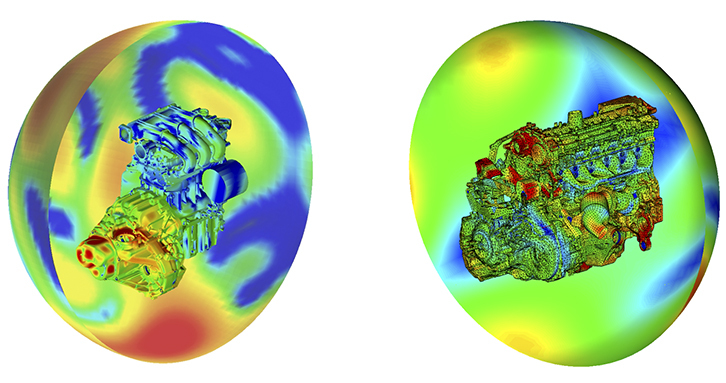 Since a fine acoustic mesh discretization is not required and is not dependent on the frequency, the WBT acoustic models are substantially smaller than those acoustic models required for element-based methods like BEM or FEM. 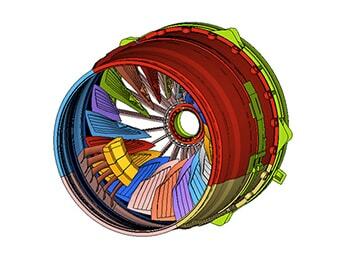 This enables to achieve accurate results with high computational efficiency. A unique fully automated procedure has been implemented to generate the acoustic mesh starting from the unmodified structural FE mesh used for the structural vibration analysis. 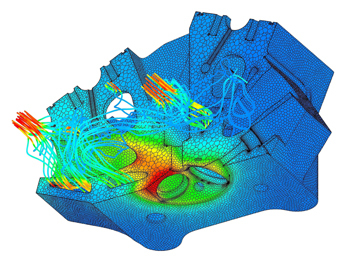 Thus, the acoustic simulation model can be set up easily and very fast with only a few mouse clicks. 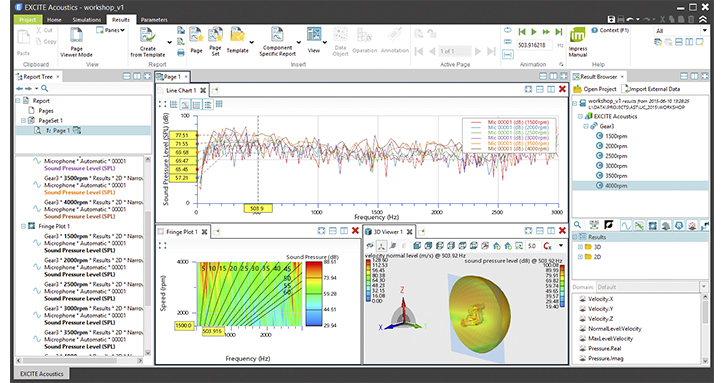 Post-processing of airborne noise results such as sound pressure levels at microphone positions or on arbitrary field point meshes around the radiating structure is a separate and fast final step. Microphone positions and field point meshes can thus be added or modified without the need for recalculation of the sound radiation. Fully automated acoustic mesh generation starting from structural FE mesh. 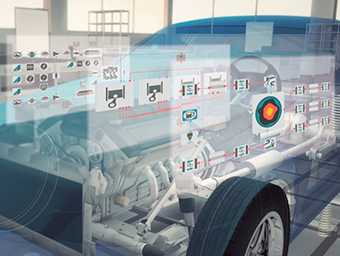 Integrated, interactive and synchronized 2D / 3D result evaluation. 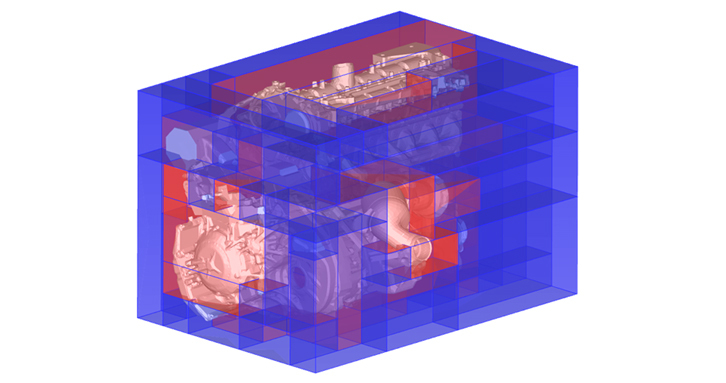 Sound pressure on a spherical field point mesh around a 3 cylinder passenger car and a 6 cylinder truck engine. 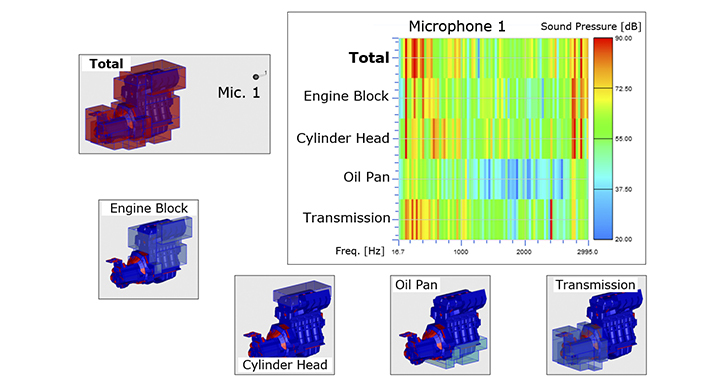 Power unit noise - contribution of selected structure parts to the sound pressure level at microphones. 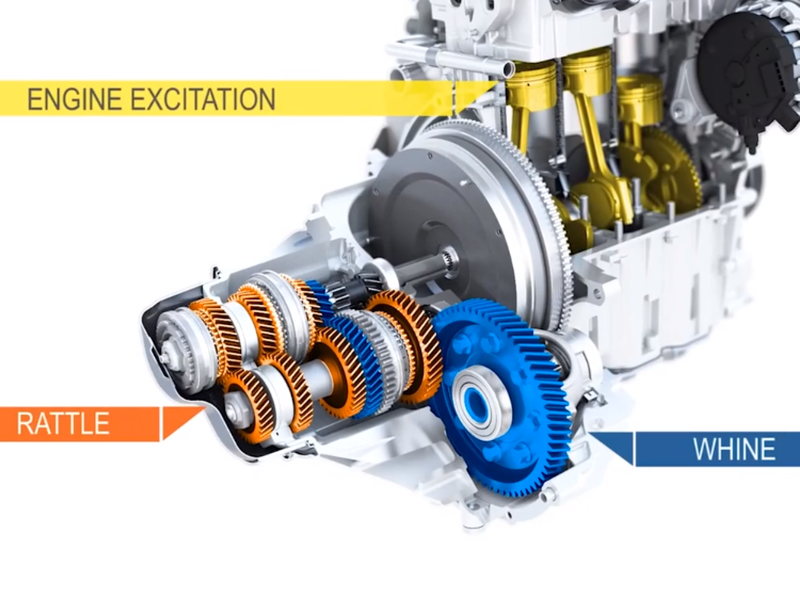 Assessment of transmission noise phenomena like gear rattle and whine. 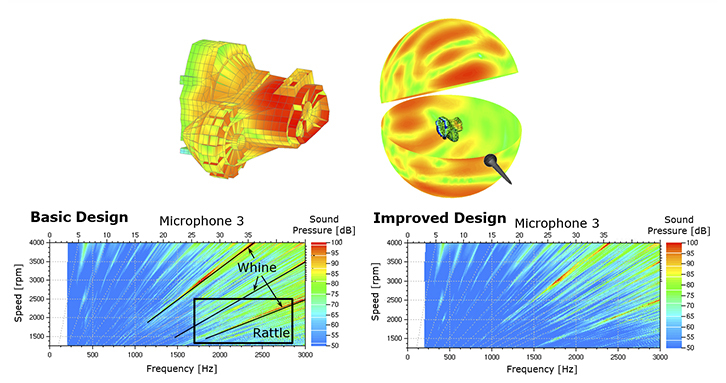 Audible results at microphone positions for assessment of noise characteristics by hearing comparisons. 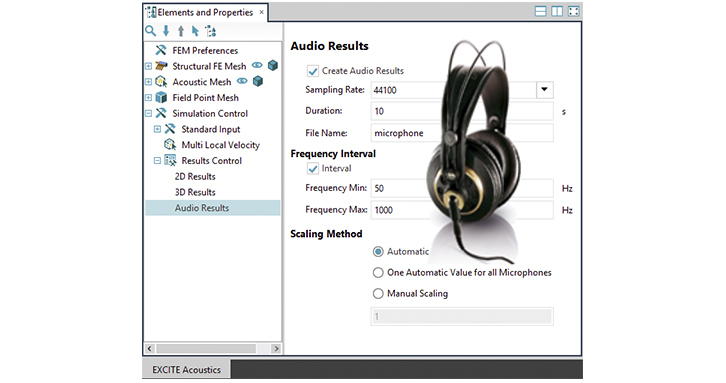 AVL EXCITE™ Acoustics interfaces with Altair's OptiStruct.